The Top Trumps Skyscraper pack is filled to the brim with impressive stats and facts of your all time favorite buildings. How do classic skyscrapers like Empire State Building and the Eiffel Tower, face up against newcomers like The Shard and the Phoenix Towers in the clash of the Top Trumps! 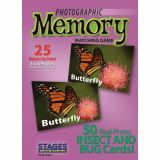 Help children build memory skills in a fun, innovative way by matching colorful, realistic photographs. 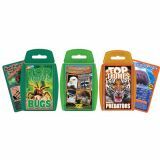 No reading is required, but cards include the name of the picture to promote early site reading. 2-6 players. Grades PreK and up. 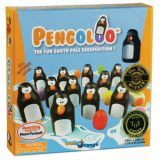 Go on an eggs-pedition with Pengoloo, an enchanting memory game for children. Detailed wooden playing pieces transport you to the South Pole where our quirky little penguins are ready to play with you! Roll the dice and look for the matching colored eggs underneath the penguins. A good memory and a little luck will help you be the first to collect six penguins on your iceberg to win! 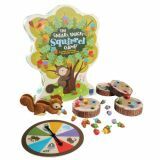 This all wooden memory game is sustainably made. 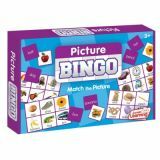 Picture Bingo is a picture matching game for teaching the names of common objects. Contains 4 boards and 24 cards. 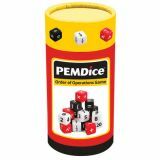 Pixy Cubes contains three activities in one creative logic game! 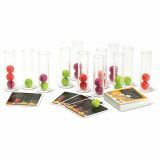 Play the challenge cards or design colorful pictures with 16 vibrant cubes. 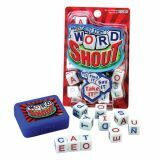 Sharpen your skills in spatial reasoning and memory in the challenging speed and memory games. For a unique 3 dimensional puzzle, pick a design card or explore your creativity and design your own. 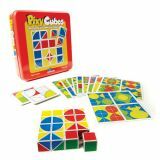 Pixy Cubes will stimulate everyone's mind! 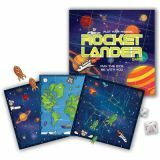 With our new STEM Strategy Game, discover the thrill of commanding your own Rocket Landing! InRocketLander™ you control a group of bold rockets exploring the vast world and outer space. Embark on an epic mission to settle and build the greatest rocket station. Fly the atmosphere, coordinate your rockets, and overtake your opponents while defending your home turf. RocketLander is set in a 3D space, hosting coordinates that explore data literacy at any age.